The flight was travelling from Germany to Mexico with 337 passengers and crew on board. FIVE PEOPLE HAVE been taken to hospital after a holiday jet made an emergency landing at Shannon Airport this evening following reports from the crew of smoke in the cockpit. The flight was about two hours west of Ireland when the crew issued a May-Day radio distress call and made a U-turn. It’s understood the crew reported they had detected smoke in the cockpit and requested clearance to turn around and divert to Shannon. On the ground, airport authorities implemented Shannon Airport’s emergency plan which also involved alerting the National Ambulance Service, local authority fire service and An Garda Síochána. Three units of Clare County Fire and Rescue Service were dispatched to the airport from Shannon Town. Additional units from Ennis were also mobilised to the airport. The National Ambulance Service sent a number of resources including ambulances and advanced paramedic response vehicles. The aircraft taxied to the apron close to the terminal building where fire crews used thermal imaging cameras to search for hotspots in the fuselage. A further inspection was carried out internally however it’s understood that no evidence of fire was found. Five people have been taken to University Hospital Limerick for treatment. It’s understood they include four cabin crew members and a passenger who were reported to be suffering from smoke inhalation. 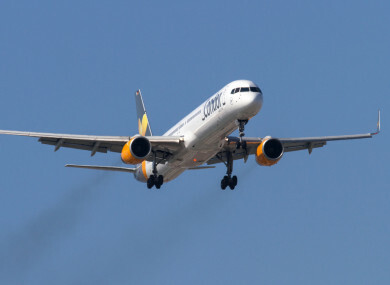 The other passengers are expected to be taken to local hotels overnight while the aircraft will remain grounded while engineers work to establish the origin of the smoke. Email “Five people taken to hospital after flight diverts to Shannon over reports of smoke in cockpit”. Feedback on “Five people taken to hospital after flight diverts to Shannon over reports of smoke in cockpit”.